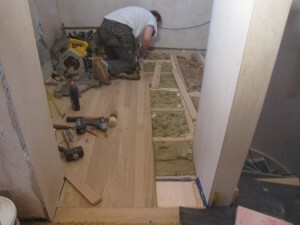 The oak floor has now been installed on the lower ground floor. 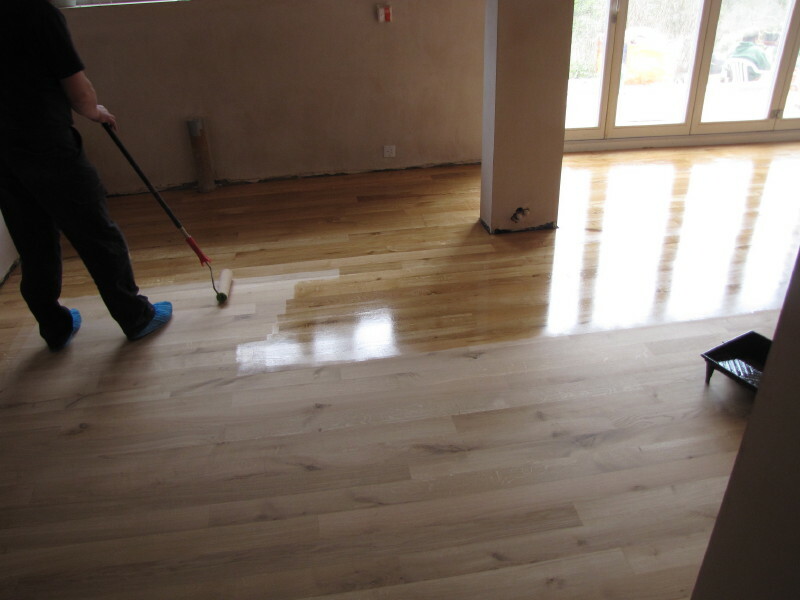 We use a local sanding specialist to both sand and oil the floor. 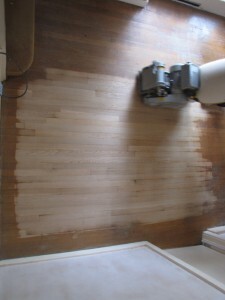 At time of writing this post, the floor has only one coat of oil, but it looks really good. 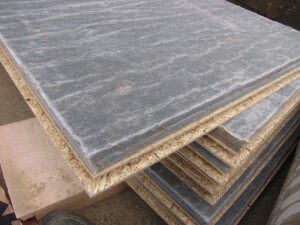 In the past I have hired floor sanders and got on with it myself, and was a bit sceptical on the advice that it should be done by a ‘professional’, but I was wrong. 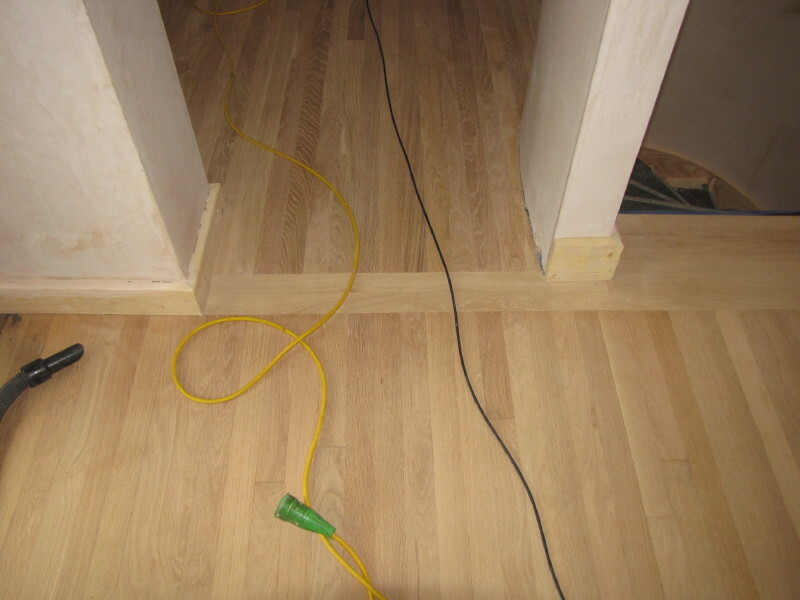 Knowing that the sanding company was doing the lower ground floor, I thought I would get them to do the hall on the ground floor too – a mixture of old flooring and new. The results were were astounding! 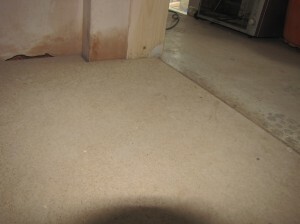 The top half of the photo is the new floor, the bottom part of the photo is the existing floor – I thought it would look different, a little darker, but it is pretty much identical. It needs to be oiled next – that will be the acid test, I guess. I think I might get these guys to do the other floor boards in the house! When the rendering was done, the house looked clean and new. However, as we are keeping the existing roof, the original concrete barge caps made it all look a little drab at roof level. 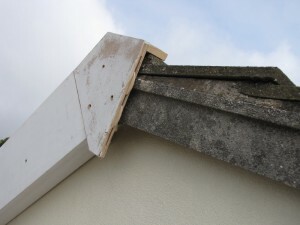 We came up with a solution to encapsulate the entire edge with a timber barge board that would fix into the existing concrete roof. It seems to have done the trick. 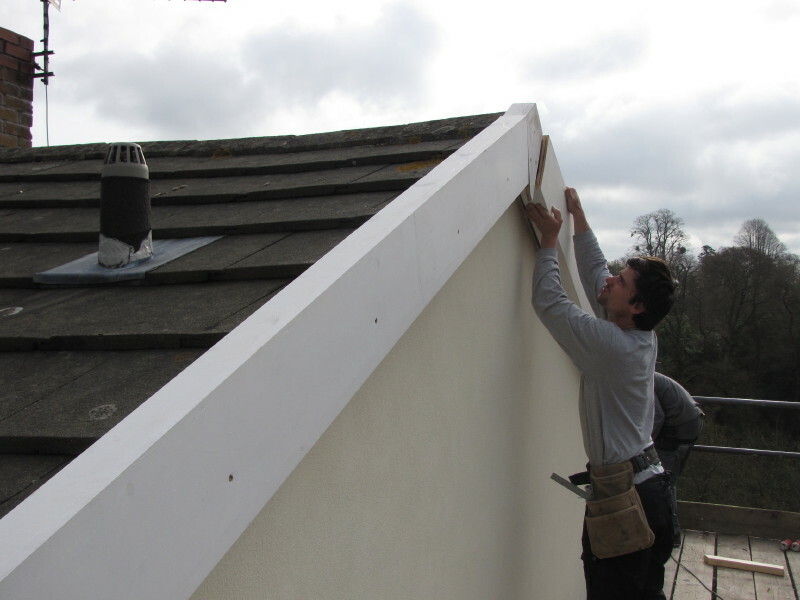 The new barge boards tie-in with the new fascias for the guttering along the eaves and all of this timber edging to the roof will be painted the same colour as the windows. To facilitate the future energy monitoring of the house, I asked our electrician to install sub-meters on all our circuits, e.g. 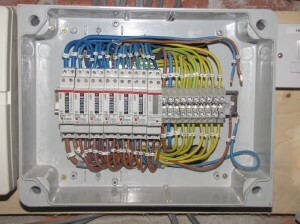 lighting, general sockets, kitchen sockets, cooker, immersion, etc. 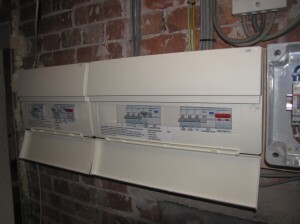 These have now been installed and will be connected to the data logging equipment when that gets delivered in a few weeks time.